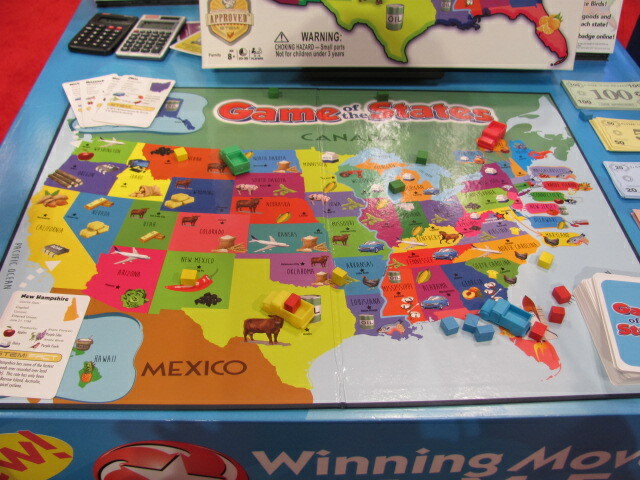 Recently resurrected under the Winning Moves label are original versions of Game of the States (a 1940 Milton Bradley title) and Cranium Cadoo (2001, last of Hasbro). 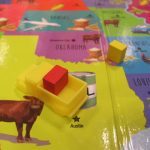 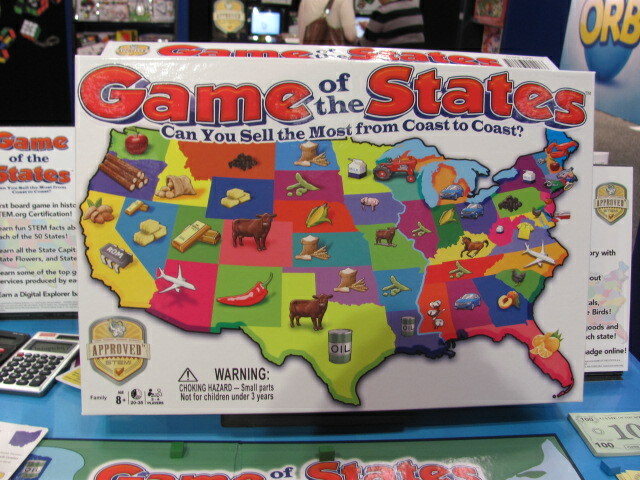 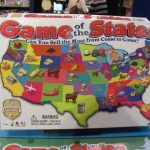 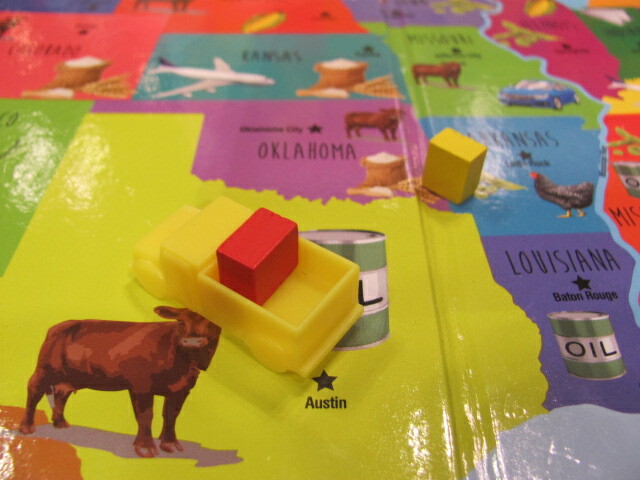 Game of the States ($20) has players moving their truck pieces around a U.S. map, buying local products in one state, and selling them in another. 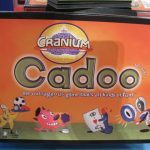 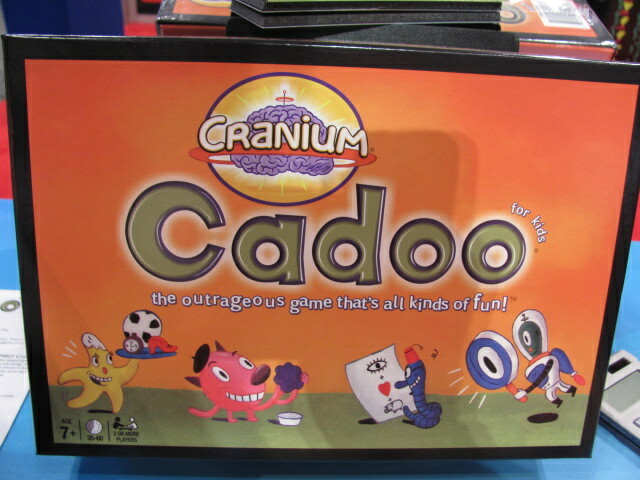 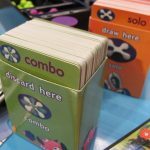 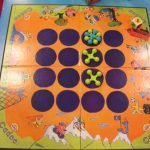 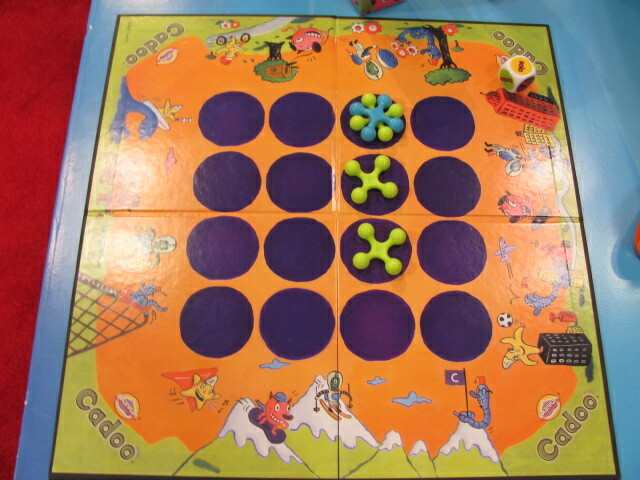 Cranium Cadoo ($25) poses a variety of different challenges—acting, sculpting, solving puzzles, and more—with winning recorded by getting four-in-a-row across the game board. 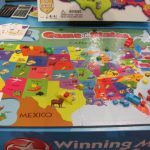 For new titles, Winning Moves has two. 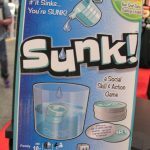 In Sunk! 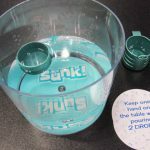 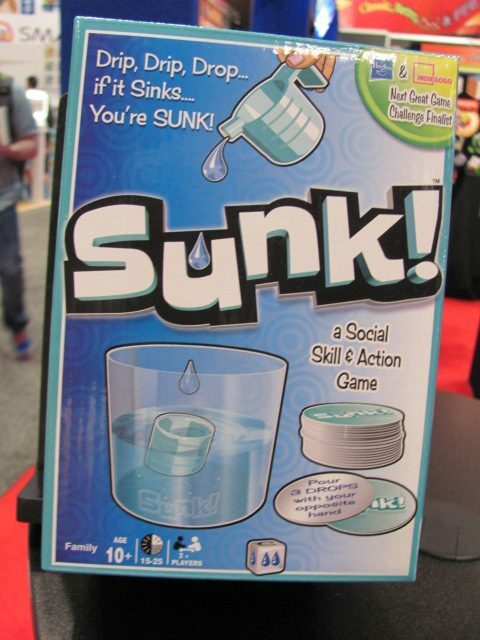 ($15), players roll a die, dribble drops of water in to a floating bottle cap, and hope it doesn’t sink. 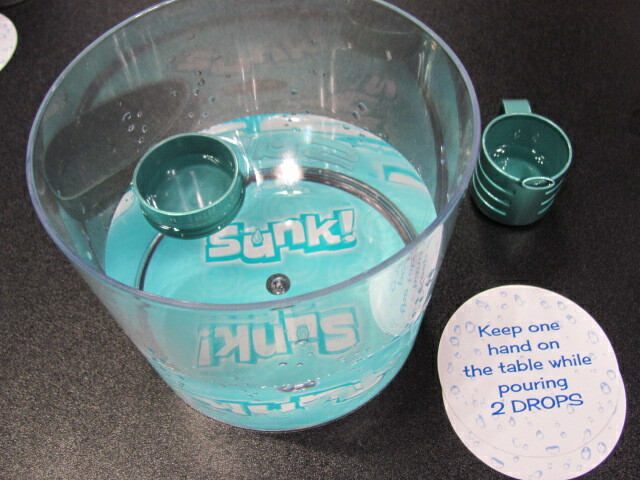 They may also have to complete certain challenges, such as dripping the water with their opposite hand. 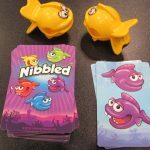 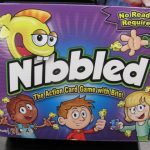 Nibbled ($15) is for children ages 4+ and features a bunch of cute clip-on yellow fish. 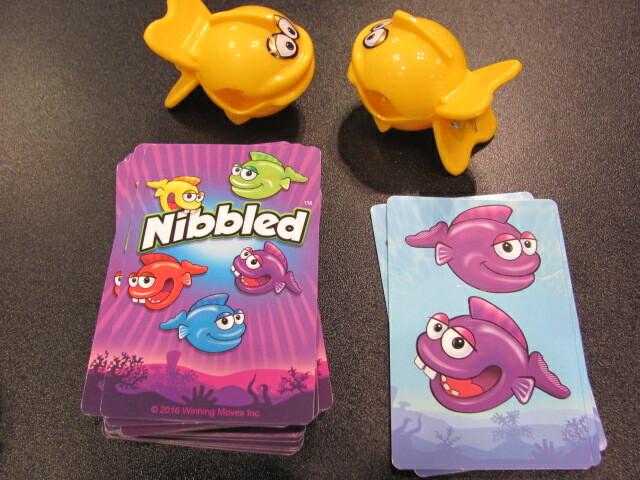 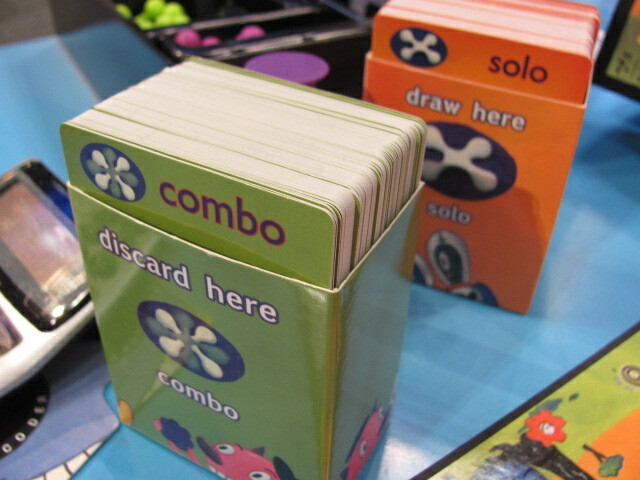 Players start the game with four fish clipped to their clothes or body and each turn they try to guess the color of the fish on the next card. 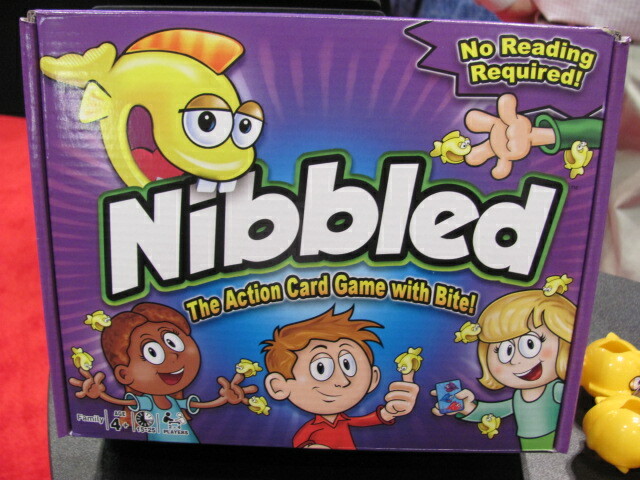 If they guess correctly, they get to remove the number of fish showing. 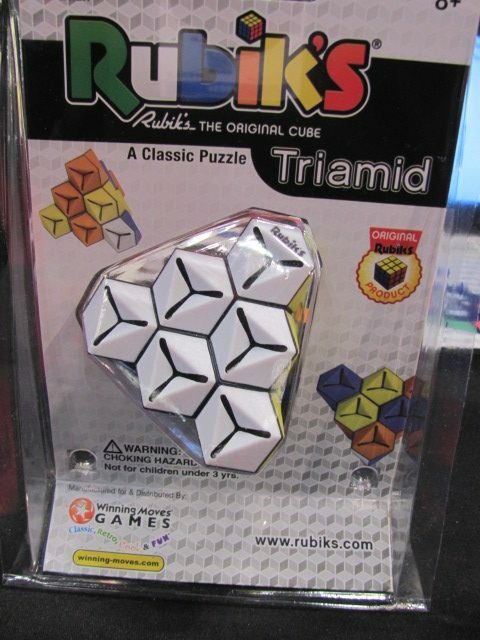 Winning Moves also sells Rubik’s Cubes. 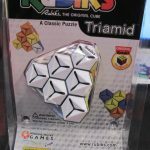 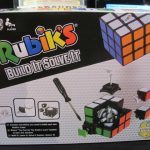 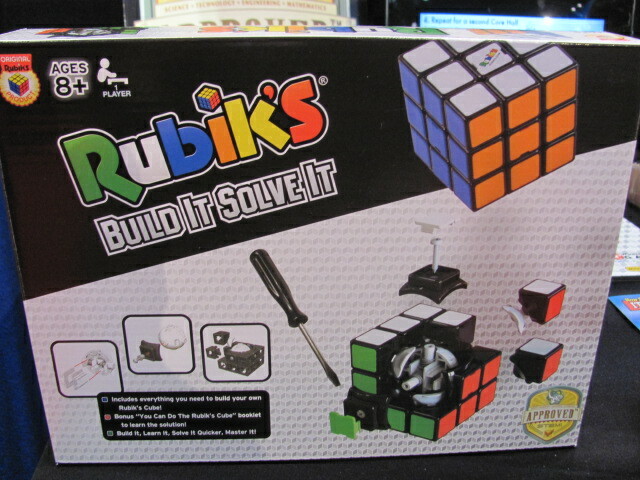 New for this year are Rubik’s Build It Solve It ($24), a standard 3×3 cube that the customer assembles from parts, and Rubik’s Triamid ($18), which is a puzzle with non-moving parts but still has the goal of making every side a single color.